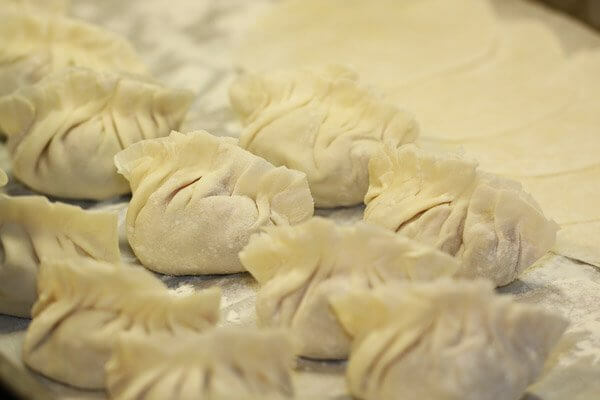 Continuing our Chinese New Year celebration, dinner featured pan-fried Chinese pork and shrimp dumplings. Jiao zi are commonly prepared for the New Year as a symbol of prosperity, as they resemble the gold ingots used during the Ming Dynasty. They can either be boiled, steamed or pan-fried. The pan-fried version are known as potstickers… these are the ones I chose to make to get that nice crispy bottom. After the pork buns I made earlier today, these had big shoes to fill, and they definitely delivered. The filling is a mixture of ground pork, chopped shrimp, napa cabbage, scallions, sauces and seasoning. The dough comes together easily, but rolling out the wrappers are a bit time-consuming. 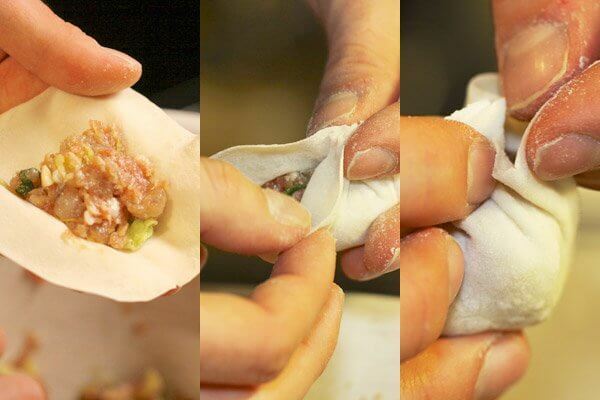 Luckily, filling and pleating the dumplings is simple and pretty quick. 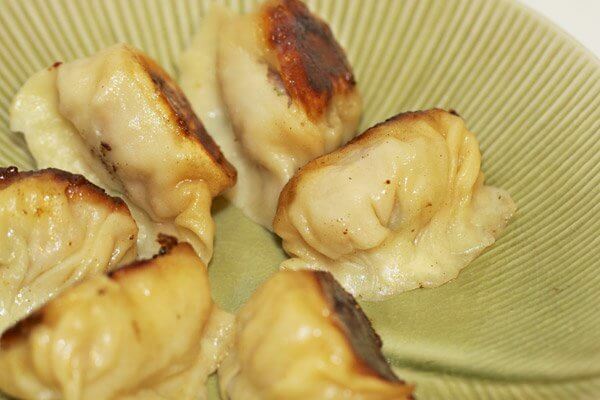 For the potsticker versions, the dumplings are arranged in a hot pan to brown on the bottom, then you add water to the pan to steam them until all the water is absorbed/evaporated. Serve hot with a soy dipping sauce.